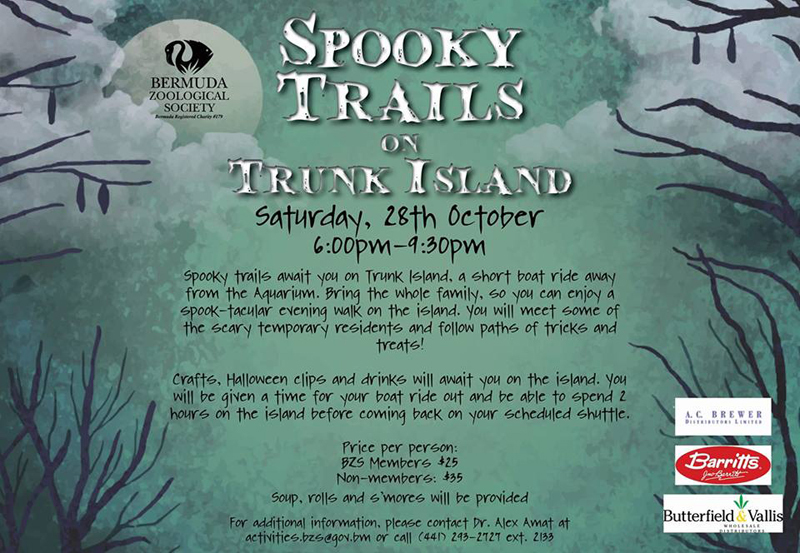 The Bermuda Zoological Society [BZS] is getting set to host “Spooky Trails on Trunk Island” on Saturday, October 28 from 6.00pm to 9.30pm. “Join us for an exciting evening on Trunk Island, enjoy a spook-tacular evening walk on our spooky trails and meet some of the scary temporary residents. “For additional information, please contact Dr. Alex Amat at activities.bzs@gov.bm or call 293-2727 ext. 2133.